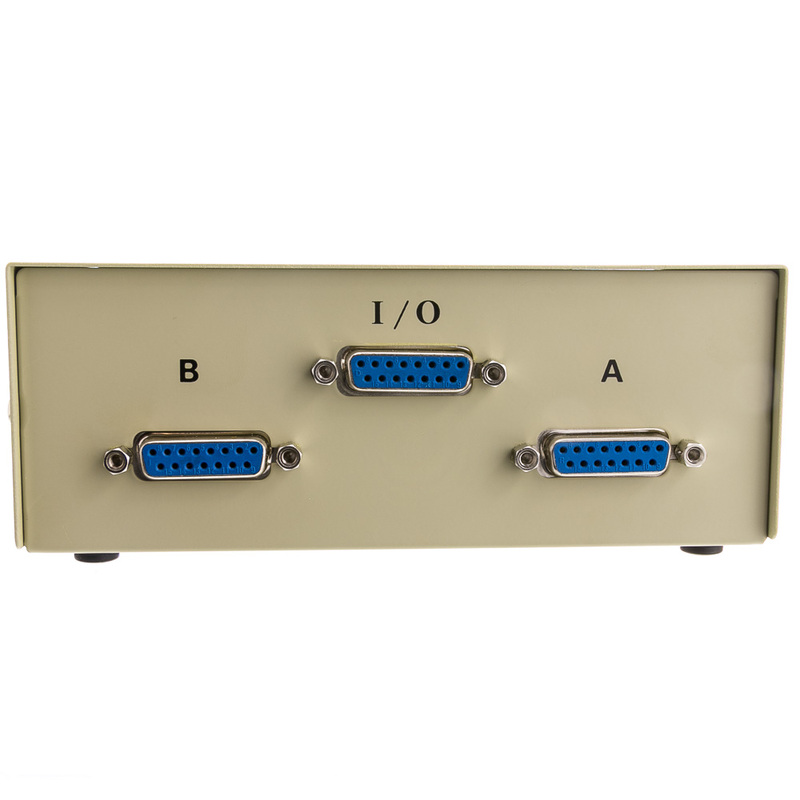 This is a 2 way video switch for older style Apple/Mac monitors. 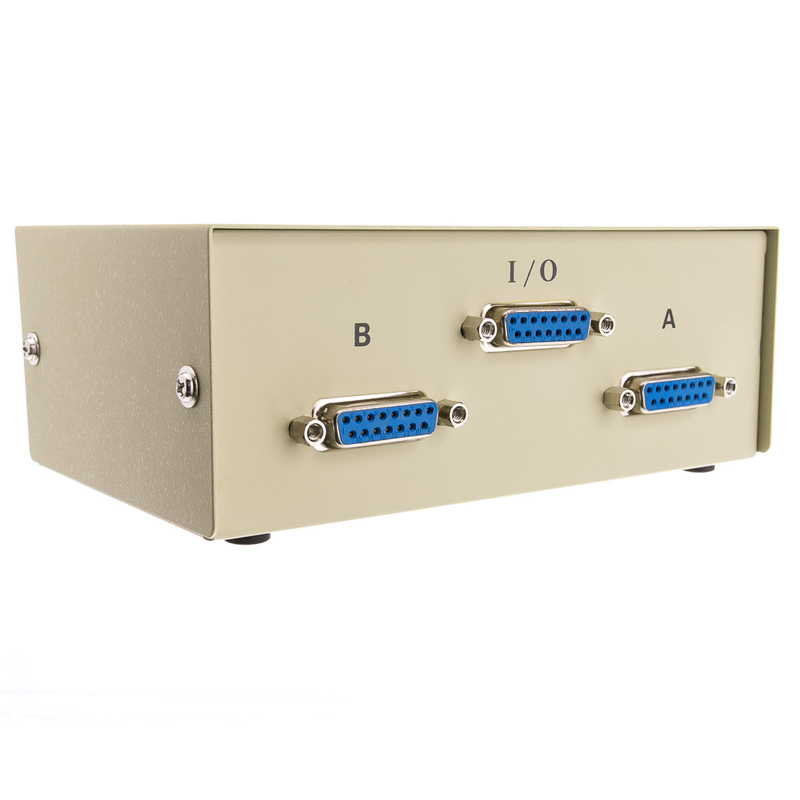 It has 3 female DB15 connectors, one for input and two for output. 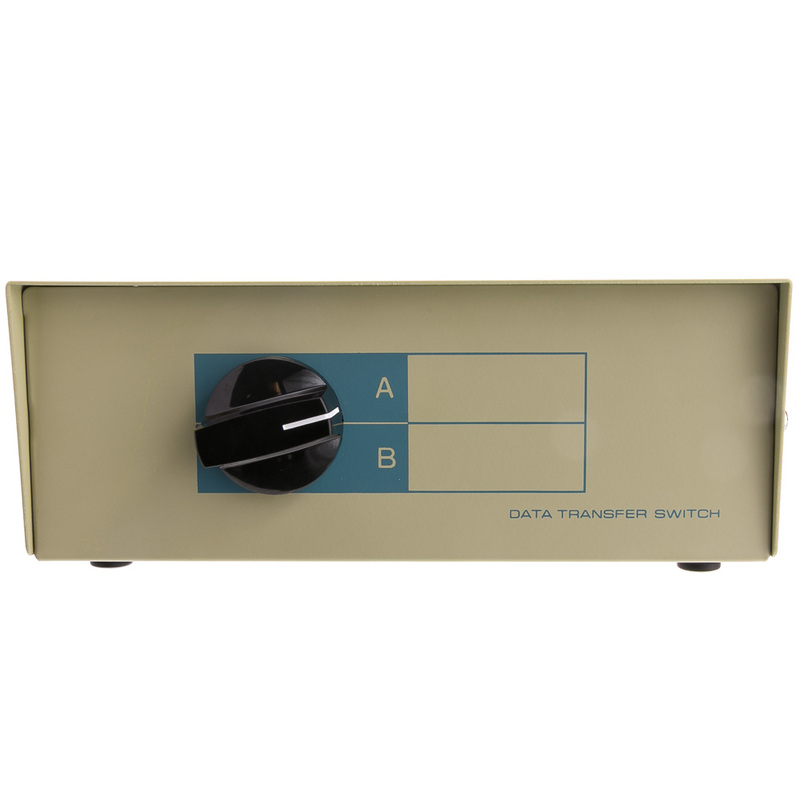 This unit features a rotary A-B switch for easy display selection.